This entry was posted in LUME, Luminous, News on April 24, 2017 by cath. Four star Guardian review for the sax quartet! The album is available now from Efpi Records. This entry was posted in Madwort Sax Quartet, News, Releases, Reviews! on March 4, 2017 by cath. 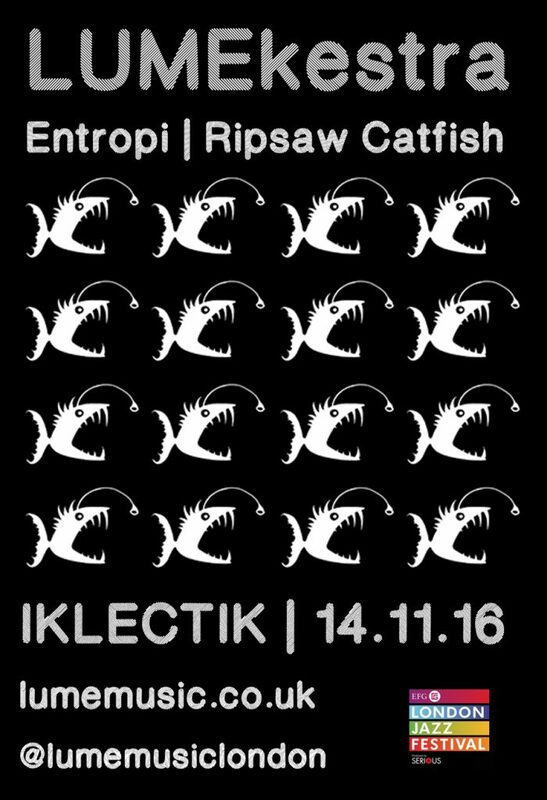 We’re playing a cluster of Ripsaw Catfish gigs as part of the Five Years of Raw Tonk celebrations: Pletterij, Haarlem, NL (17th March); De Singer, Rijkevorsel, BE (18th March); De Ruimte, Amsterdam, NL (19th March); Hundred Years Gallery, London (25th March); St Margarets Church, Manchester (26th March); and at a venue tbc, Oslo, NO (2nd April). We’re also appearing at Thinking/Not Thinking Festival on 8th April at New River Studios, London. This entry was posted in News, Releases, Ripsaw Catfish on March 1, 2017 by cath. 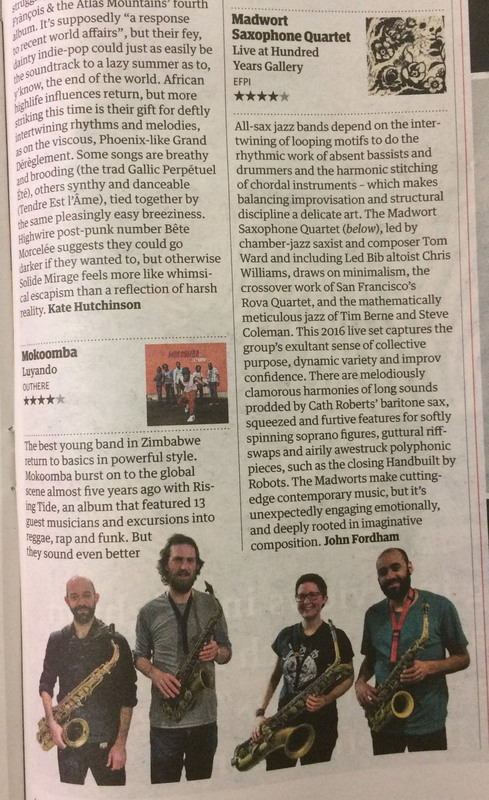 We’re touring to celebrate the release: catch us at Jazz North East, Bridge Hotel, Newcastle (12 February); Plink Plonk, York Tavern, Norwich (1 March); A Little Bit Of Nothing, Derby (2nd March); IKLECTIK, London (5 March) and The Wonder Inn, Manchester (6 March). This entry was posted in Madwort Sax Quartet, News, Releases, Touring on January 17, 2017 by cath. 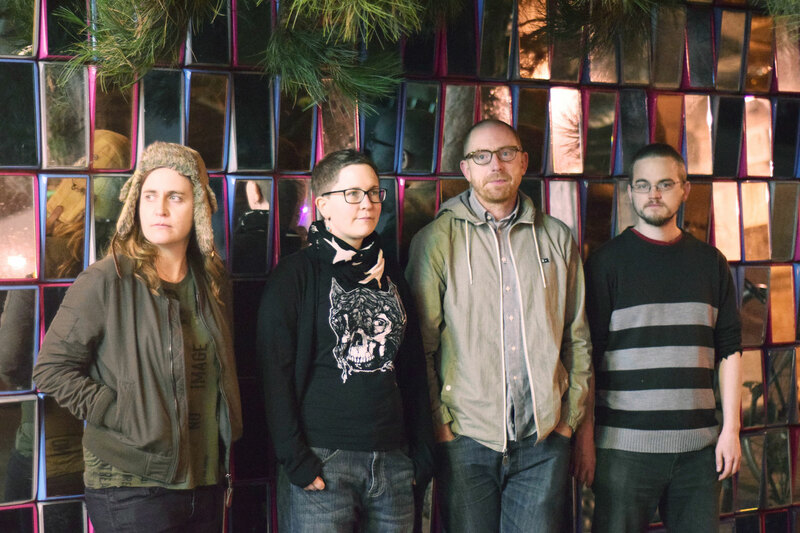 Word Of Moth (complete with new drummer Johnny Hunter) has lots of stuff planned for this year, starting with a flurry of activity in February. We’re appearing at the first LUME Lab gig on 8th February at IKLECTIK, presenting new music that we’ve been working on. Then we’re heading into the studio to record an album, before heading to Wolverhampton on 17th February to play at Jazz At The Arena. After that, we’re off to Bern, Switzerland to play for Jazzwerkstatt at their tenth anniversary festival! It’s all happening…. This entry was posted in Gigging, LUME, Luminous, News, Releases, Word Of Moth on January 9, 2017 by cath. This entry was posted in Favourite Animals, News, Releases on November 10, 2016 by cath. 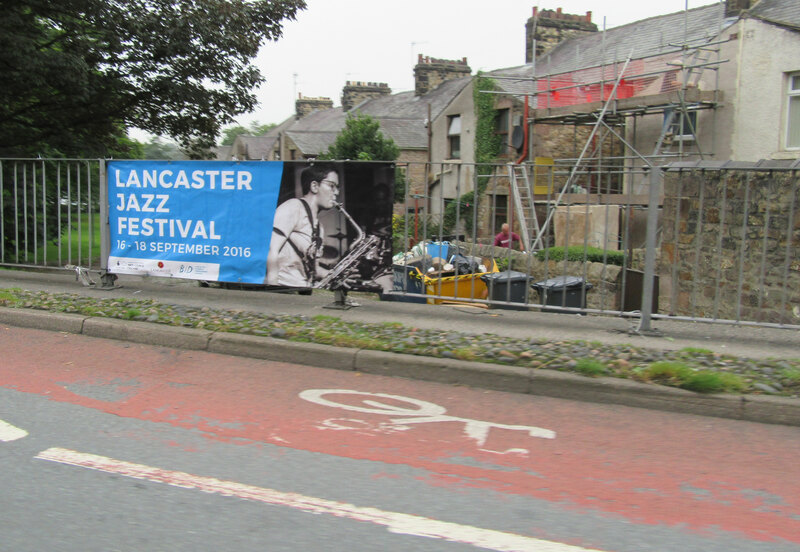 I had a fantastic time as Artist in Residence at Lancaster Jazz Festival this September. 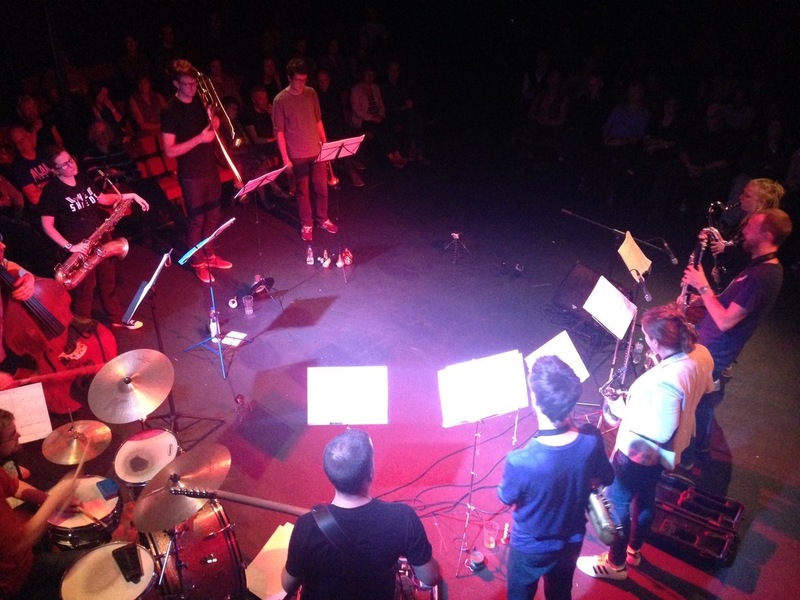 What a great festival – and what a brilliant opportunity to offer artists. The headline performance with my ten-piece band was recorded, and should be available to hear soon, but in the mean time here are a few photos from the project. 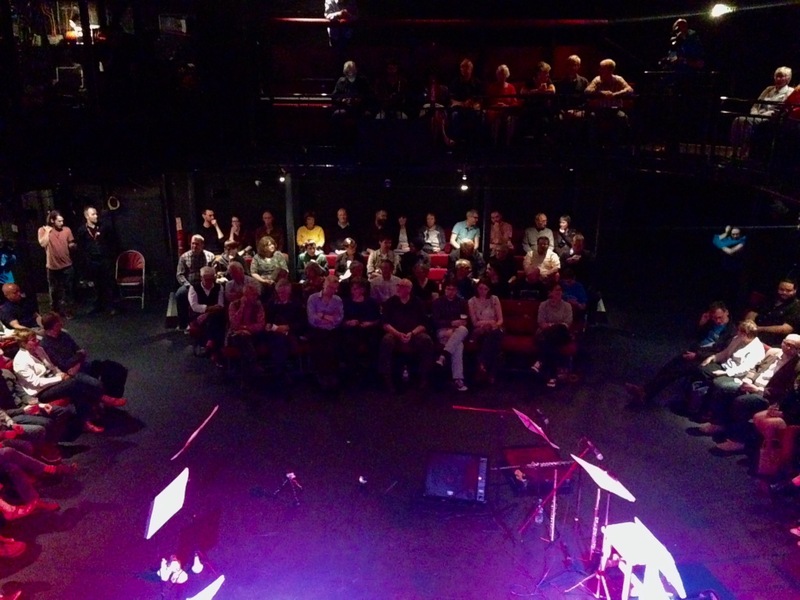 Anton’s panorama of the whole group in rehearsal (minus himself!). Click to enlarge. Festival banners with my face on….quite a weird experience! Cutting loose after the gig with festival director Matt Robinson at the Lancaster edition of ‘The Hat Speaks’ late night improv session. The residency was a perfect way to start a new project. Massive thanks to Matt, Dave and the team for making it happen! I’m now keen to do more with the group in 2017, so watch this space…. This entry was posted in Gigging, News on October 18, 2016 by cath. A London date to kick off the tour, with Colin Webster & Graham Dunning and Ti/om (Tim Fairhall and Tom Ward). Part of Corey Mwamba’s new gig series launched earlier this year. 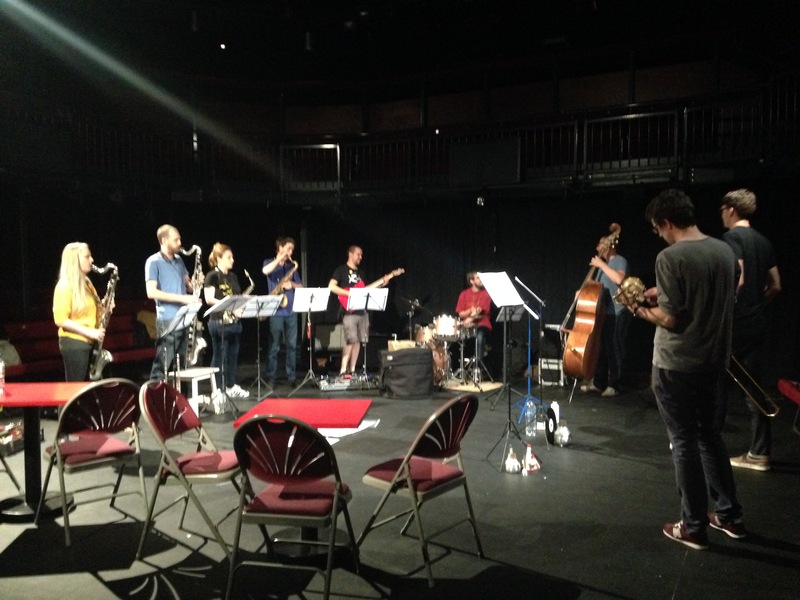 Jazz North East are actually responsible for this band’s formation! After our first ever performance as part of their programme at Gateshead International Jazz Festival 2015, we’re looking forward to playing for JNE in their HQ, the Bridge Hotel. 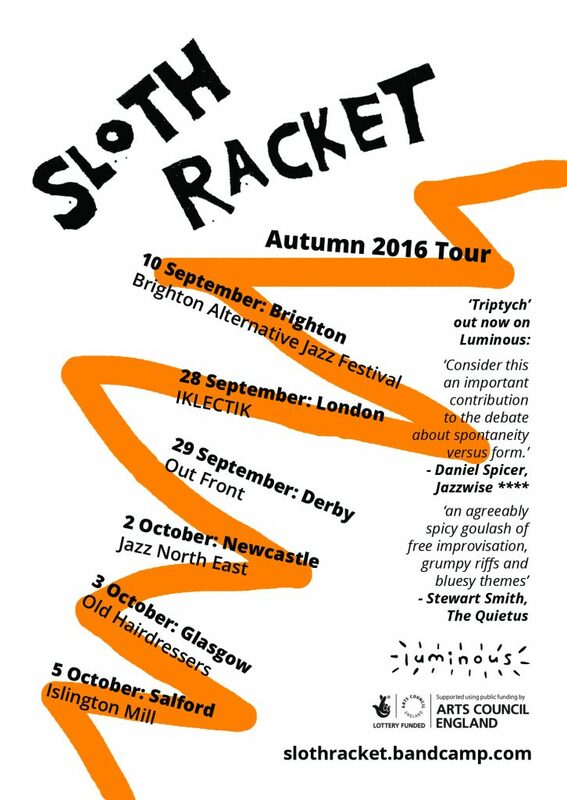 Sloth Racket’s first gig in Scotland! Jer Reid has organised this date for us, and he’ll be playing a set with Raymond MacDonald (sax), Catriona McKay (harp), Una MacGlone (bass) and Dougal Marwick (synths, electronics). Last date of the tour before we go into the studio to record in Manchester. With another band on the bill tbc. This entry was posted in Flyers and posters, News, Sloth Racket, Touring on September 11, 2016 by cath. The band is basically an expanded Sloth Racket, and I can’t wait to get started on putting the music together. More on this to follow…. The festival is happening over the weekend of the 16th-18th September, and the full programme will be announced soon (keep an eye on the festival website). 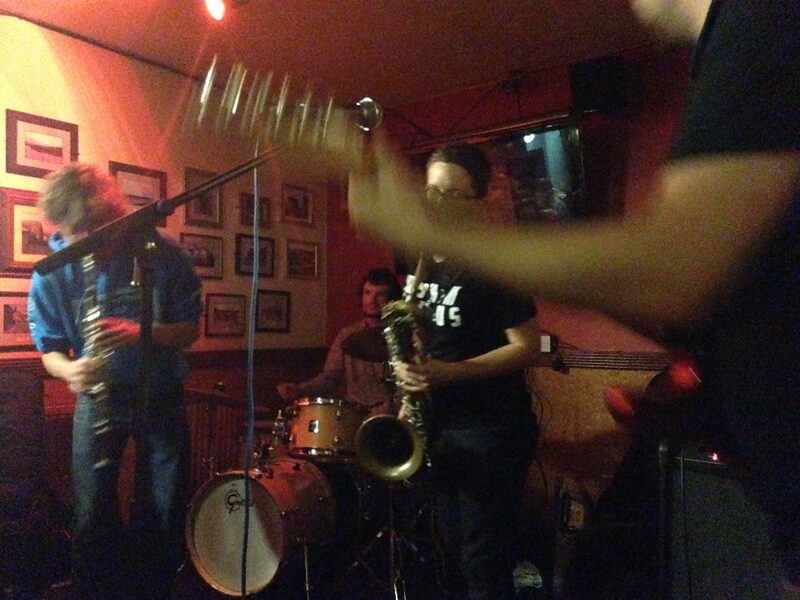 This entry was posted in Composition, Gigging, News, Sloth Racket on June 11, 2016 by cath.